Sumptuous property with main house and outbuildings on a plot of 12463 m² bordered by a river. Single storey villa with 3 bedrooms and garage on a 715 m² plot with pool and views ! Herault, department number 34, is located in the South of France on the Mediterranean coast and has a fantastic year round climate. It is famous for its full-bodied red wines and for its oyster beds along the coast in the Bassin de Thau. Montpellier, with a population of 230,000, is the capital of both the Hérault department and the Languedoc-Roussillon region. It is the backbone of the region's economy with its high-tech industries in the surrounding towns of Agropolis and Euromedecine, one of the most cosmopolitan and progressive towns in France. The area has seen a dramatic transformation during the last 50 years. The rise of a strong left of centre local government has left a legacy of good housing, pedestrianisation of town centres and a public transportation network that is second to none. Further to the South of the Department you will find Béziers, renowned for its ancient bridge. It has a population of 70,000 and is the unofficial capital of the largest wine-producing region in France. The town has had a rather turbulent history. Despite burning to the ground in 1209, Béziers was restored to its original glory following a boom in the wine industry. Vineyards dominate the hills surrounding the town. Along the coastline look out for the town of Sete, the most important fishing port on the French Mediterranean coast. The locals are almost entirely native French Mediterraneans, probably because most tourists congregate further down the coastline in Le Cap d'Agde. Le Cap d'Agde is the largest purpose built tourist resort in the whole of Europe. It can accommodate up to 100,000 tourists at any one time. Nearby is Saint-Guilhem-le-Desert, one of France's most beautiful villages. 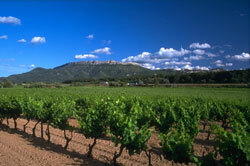 The Hérault also has a great mix of countryside, with beautiful agricultural valleys and mountainous terrain. Places like the Minervois Valley and it's surrounding hills are perfect for walking and mountain biking. Or you might like to explore the quiet little villages and the bustling towns that can be found in the Hérault. Flying into the department couldn't be easier. There is an international airport in Montpellier and a smaller one in Béziers. Both operate direct flights to/from the UK. The fast and comfortable TGV train service also runs through to Montpellier. Montpellier is the most expensive city in the Languedoc-Roussillon and has experienced a 25 percent increase in prices over the last five years. Outside Montpellier, the trend remains similar, as the Hérault is an increasingly popular place in which to own property. I am planning to move to Herault later this year and, although I will work hard to become part of the French speaking community, that will take time. Meanwhile, it would help a lot if I could connect with other anglophones who live in the department. I have looked hard for organisations like the U3A in Pyrenees-Orientales but have not found any yet. Can you suggest any similar group that would help me establish a circle of friends and take part in local activities? With a similar purpose, can you also tell me if there are areas of Herault where anglophones are more numerous. The answers to these questions will help focus my search for a property. Thank you for your help. Have you tried this? It contains links to many Anglophone organisations in the Herault, which no doubt would be able to help you. You could also try posting your questions on forums such as Hobos in France, which I understand is very good. Good luck with your move! Do you know Hérault better than we do? 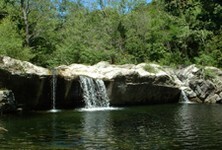 Do you have photos of Hérault? The Hérault department is located in central Languedoc-Roussillon. It houses the regions capital, Montpellier.